With the festive season around the corner (or for some, has already started), it's time to feast it up with good food! And there's no better way to usher in this yuletide with good steak! Turkey after all, is quite overrated. At Lawry's this festive, you can be assured that you'll be feasting on the right dishes! Their affordably priced 4-course set, A December to Remember, starts you off with The Famous Original Spinning Bowl Salad and an Appetizer Trio that showcases a Crunchy Herb Crumbled Oyster, Oven-baked Truffle Wagyu Beef Pithivers and Foie Gras with Thyme Gelee. The starters were a joy to pop (pretty bite-sized except for the Foie Gras), without filling you too much so you can antipcate the mains that they have to offer. I must however, applaud the geneoristy of their Foie Gras, which came in a decent cut in terms of thickness - definitely one that will leave you pretty satisfied. Of course moving onto the mains, you are going to expect Lawry's classic Sigature Roasted USDA Prime Rib of Beef. You can however, also opt for the Pan-fried and Baked Cajun European Seabass and King Prawn - a seafood option if you don’t take or fancy beef, or have had too much red meat for this festive already. The Prime Rib of Beef as usual, comes stunning with doneness of your choice, served alongside US Idaho Mashed Potatoes, Yorkshire Pudding and Whipped Cream Horseradish with a choice of Creamed Corn, Creamed Spinach or Buttered Peas. To end off the meal, you will be treated to sweet ending with the Chocolate Yule Log Cake with Macadamia Nuts Ice Cream or Strawberry Shortcake with Rum Raisin Ice Cream. I preferred the latter because I'm not exactly the huge fan of chocolate. The desserts aren't a lot to shout about, but if you're not fussy, they will satisfy and fix that sweet tooth of yours. Priced at $128++ per pax and $218++ per pair, the prices aren't exactly the most wallet-friendly around town, but is in my opinion "worth the buck" for the quality of meat,ingredients and dining experience you are going to be getting. They also run a Christmas Eve Jubilee Dinner available on 24 December and a Holly Jolly Christmas Lunch or Dinner on Christmas day itself. Who doesn't like receiving fresh blooms? Perfect for any time of the year and for any occasion, it's always a nice gesture to send flowers to someone who is important to you. I do that for Valentine's, Mother's Day and some birthdays. I like how A Better Florist has makes it super easy to send flowers these days just with a few click - ordering made simple and they make sure your blooms reach your recipient on time and fresh for that insta-worthy shot! I picked out this bouquet from their collection of Singature Blooms that they have to offer . The Emilia features an assortment of hand-picked and carefully put together roses and lilies, wrapped up in elegant floral paper and adorned with a ribbon and rustic string. They also include a personalized card if you have a special note for that special someone, and even a care card on how to take care of your blooms! The fresh bouquet lof flowers lasted almost a week in my room. Definitely one of my top choices when I need to send over some floral love the next time! Head over to www.abetterflorist.com and put a smile on someone's face. This post is brought to you by A Better Florist. I am always on a constant lookout to upgrade my camera! With technology ever changing, it just means that there are always better things in the pipeline, especially for my favourite camera brand, Olympus! With the launch of the new OM-D E-M10 Mark III, I cannot agree more that I am officially stoked about this new launch! Firstly, the portability of the camera makes it like a compact DSLR that's a lot more user-friendly and convenient, especially with my lifestyle. It fits nicely into a small bag, or even a men clutch on days I don't want to be carrying too many things out. Brought it out for a brunch outing and I was pretty surprised that it managed to take such nice photos despite very little natural light coming through! The camera also managed to capture the vibrant colours of these macarons, which lift me with less editing to do! Definitely a fan of something that saves time! Weaving in key features such as the TruePic VIII, an improved version of the processor which definitely improves low-light shooting that often occurs to me, especially with night shots. With the low-light shooting improved, it just means that my photos can look as natural as they should be without the use of flash or external devices! At night, I brought it out and managed to capture some night shots at some of Singapore's landmarks. Despite the low-light shooting, the camera did manage to capture what I wanted and expected, especially using the hassle-free iAUTO mode that eases everything with just a click or a tap of the screen - extremely fuss-free and easy to use! The OM-D E-M10 Mark III also comes with an array of automatic shooting user-friendly features, allowing me to toggle the mode-dial. This allows easy access to the Auto, Scene, Advanced Photo and Art Filer modes, making sure that every photo is spot-on and picture perfect. Another feature that got me sold is the Hand-Held 4K video with an editing function that allows me to shoot in a high-speed movie mode and guarantees split second recording moments with the 5-axis stabilisation. This ensures that my video comes out clear and is ready for posting almost immediately! It also means that I can edit videos and sync them directly onto my phone before uploading them on social media platforms like Facebook and Instagram and ensures that everything from the surroundings is captured and also makes editing a whole lot easier. The truth is - I am sold. The new OM-D E-M10 Mark III definitely is an upgrade from the Mark II and is a camera perfect for daily use! For more information on the OM-D E-M10 Mark III, head on over to http://www.olympusimage.com.sg/product/dslr/em10mk3/index.html! 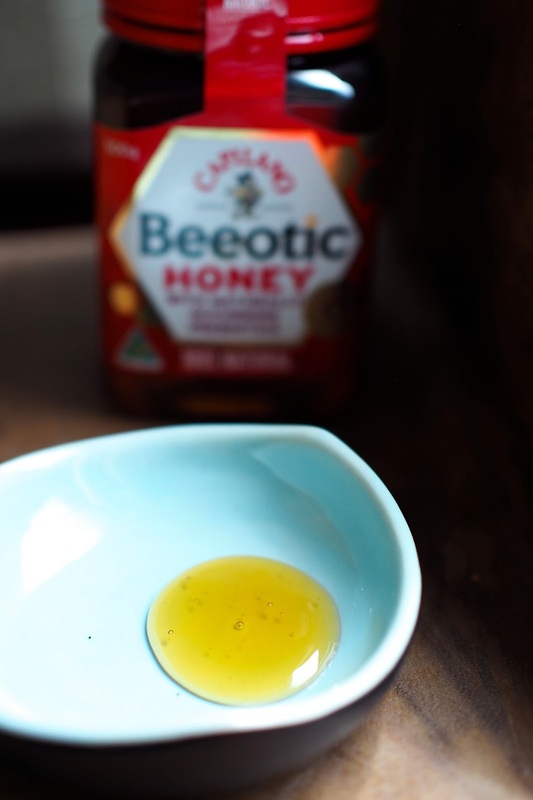 Capilano, an Australian-based honey brand, is setting itself apart from other honey brands, with its recently launched Beeotic, the world’s first pure prebiotic honey. Beeotic tastes like any other honey I have had. Besides my usual consumption of honey as a natural remedy for many illnesses, Beeotic is rich in prebiotic, which helps the good bacteria in the gut to grow. This greatly improves the good-to-bad bacteria ratio and aid digestive health. A 100% pure Australian honey – the process is a natural phenomenon where bees add special enzymes that create prebiotic sugars during the conversion of nectar into honey. It is clinically tested, pure, and nature’s best! Beeotic is available at all leading supermarkets in Singapore in 2 sizes – $16.80 for 340g, and $22.00 for 500g. This was a media drop from Capilano. This June, be excited! That's because Ellenborough Market Cafe at Swissotel Merchant Court is bringing to you The Amazing Crab Feast! One can expect a wide variety of crab dishes that will be selected and served on a daily basis, alongside their spread of usual international buffet that comes with it. To start, the Japanese counter offered a fairly modest selection of sashimi, sushi and fresh seafood served on ice such as poached prawns and cold crab. There's also a live station that has a chef pan frying generous foie gras portions that melts in your mouth. There isn't a limit to the number of rounds you can take, so be sure to head for second servings if you like your foie gras! The crab dishes are bound to spoil you silly, with many cooking styles offered. We tried the Kam Hiong Crab, we gave off a little spice and kick, and we enjoyed it. The Black Pepper Crab on the other hand, reminds you of the local flavour that we would all be familiar with. Other crab dishes included a very nice and thick Corn and Crab Bisque, as well as Crab Meat Fried Rice. Despite being a buffet, we were pretty impressed with the sizeable crabs that were used, as well as the freshness that tagged along with the quantity. Apart from the crabs, you can find quite a fair bit of Peranakan dishes on the buffet spread as well. We really enjoyed the Ayam Buah Keluak that came with super tender chicken meat, as well as the soft and geletinous Babi Chin, paired with freshly steamed coconut rice. The Peranakan counter was easily one of our favourites from the buffet spread. Chinese dishes including Baby Lobster in Black Bean Sauce, a full on Red Snapper with Nonya Sauce and freshly made Pork and Seafood Spicy Wanton were also present on the spread, giving the whole buffet a pretty good balance of each cuisine. For desserts, be sure to try their signature Durian Pengat if you are a love the king of fruits. If you don't - fret not, there are also a few traditional desserts for you to choose from (and something every mother would probably approve of) such as Pulut Hitam, Peanut Cream, White Fungus with Pear and freshly made on-site Muah Chee. There's also a selection of cakes, in case your sweet tooth doesn't get enough. With Father's Day just round the corner, it's the perfect place to be at for that special celebration for the daddies out there. There's definitely something for everyone in the family, and lots of crab, of course. And if you need another reason to be at the crab buffet - just think that we are already almost done with half of 2017 and it's time to gather the friends for a mini celebration! I have to admit that i love my brunch, but i hate having to squeeze with the crowd. Most of the popular places in town are either over-hyped, or crazy crowded to the extent you lose your appetite before your food even reaches the table. Pretty glad to have found Coastes at Sentosa which serves up an extensive brunch menu which you can indulge in while soaking up the sun. Coastes (which probably derives from the word, coast) is smacked right in the middle of Siloso Beach. The location is away from the city, where only chill vibes exist. From their all-day menu, you can expect to select from brunch items, as well as fusion dishes including interesting ones like Green Curry Pasta - which might tingle a bit of your Asian tastebuds. We had the Seafood Platter to share and it came with a wide variety of grilled seafood which was pretty apt, considering we were dining just beside the sea. It includes an assortment of crayfish, fish stew, crab salad, tiger prawns, clams, as well as calamari. The portion is pretty huge, so it's best to have it for sharing between 3-4 people, or 2 if you are really hungry. If you like your protein, dive straight for the Bourbon-Glazed Pork Ribs. One can choose between a half or full slab - i recommend the full, of course. Slightly sweet from the maple glaze, the ribs fell apart from the bone easily, flaunting a fork-tender consistency. It's something you would want to be indulging in if you are a meat-lover. Coastes also offers light bites that you can look forward to pairing your cocktails, beer or even mocktails with. The Coastes Club is packed with flavours from the roast chicken and bacon within, stacked with fresh greens and a sunny side up. Another on the menu that's worth trying is the Duck and Arugula Pizza which comes with a slight Asian twist to it, resembling something like a hoisin sauce base with roasted duck chunks. We loved the different kind of drinks available, apart from the usual beer selection. The Shades of Summer features a refreshing peach, vanilla and mango flavour, but we still enjoyed the Coconut Kumquat most, which had a good mix of fresh coconut juice and citrusy calamansi. Coastes is a great place to hangout over drinks and food with friends. It's away from all that crazy crowd you get in the city, which is probably the reason why i like it even more. And with that, i guess that leaves no guesses where i'll be hanging out on the weekends in the weeks to come. To visit Bangkok isn't a holiday, it's more like an annual tradition for me. Everyone loves the city for it's shopping, food and warm hospitality. Needless to say, your accommodation for the trip is very essential, especially if you are there for a short trip and want to explore as much as possible in this most convenient way. Novotel Bangkok on Siam Square is located just a stone throw away from Siam BTS Skytrain Station. It's one of the most, if not the most centrally located station in Bangkok, with lots of malls filled with shopping and entertainment. Novotel Bangkok on Siam Square boasts a revamp recently, with a quirky fun lobby to welcome you upon check-in. Guests that stay at Executive rooms also get a fuss-free check-in that's expedited for you. At the newly revamped lobby, take time to enjoy a cup of coffee, or choose from a selection of European and Thai dishes from burgers to classic Thai dishes such as the Phad Thai. We had lunch there right after check-in and thoroughly enjoyed every dish, accompanied by some fancy cocktails with a hint of Thai element such as fresh coconut juice. With more than 400 rooms, Novotel Bangkok on Siam Square offers a selection of different rooms, making sure that there's always one to suit you. We stayed in the Executive Premier Room, which had a view overlooking the city's skyline that came with a comfy king-sized bed and a well prepared room with a stocked mini-bar and superb wifi connectivity throughout our stay. We even asked for more pillows and they sent 4 more up during turn down service just so that we were comfortable during our stay. Staying at the Executive Premier Room also entitles you breakfast daily at the Premier Lounge, as well as cocktails in the evening. Instead of being with the crowd, you can enjoy breakfast served to you fresh upon ordering, and unwind over a hectic day with cocktails in the evening with friends. Refreshments are also available all day at the Premier Lounge. The hotel also has facilities such as a fully equipped gym if you need a workout or two after indulging in lots of good food, and also a swimming pool. For those who prefer a more relaxed trip, Tammachart Spa is a good way to unwind after a long day of shopping. They have a full range of massage choices for you to choose from at very affordable prices, unlike hotels that charge a premium. We went for a full body massage after a long day and it exceeded our expectations. You wouldn't need to worry about getting hungry at Novotel Bangkok on Siam Square with 3 restaurants in the hotel! Apart from GourmetBar at the lobby, they also have an award winning Chinese restaurant that serves up authentic Chinese food. We went for lunch and was served an assortment of handcrafted dim sum dishes that impressed. Despite being in Bangkok, we were happy to be able to find comfort food of such excellent standard. They also have a promotion for their dim sum lunch buffet which is really value for money! Of course, if you like your buffets international, head straight for The Square, which serves up an array of international buffet spread for lunch, as well as dinner. The selection will definitely spoil you for choice, so be prepared to head there with an empty stomach! I have to admit i love Novotel Bangkok on Siam Square. The location is very accessible, and the service is on point. If you are looking for a fuss-free holiday at a hotel that is near to all the attractions and shopping in the heart of Bangkok city, you'll definitely be finding yourself in Novotel Bangkok on Siam Square! Change is constant. And with technology, that is always the case. I've been in so in love with my OM-D E-M10 for the past year and it has travelled to many countries and went through countless number of food tastings with me, always promising to deliver shots that i never will never doubt. After a year, I've finally decided to upgrade it an E-M5 Mark II. The truth is (and I have always repeated this on Instagram), I absolutely love Olympus - their cameras are always has such user-friendly interfaces and their lenses are affordable, giving you endless options and possibilities with every shot! I wasn't exactly sure model of camera was going to be my next, but was instantly sold when I found out that I could customise my very own E-M5 Mark II to my preference on the Olympus website! The customisation process allows you to choose your preferred colour of the camera body, lens of your choice with your preferred matching colour, as well as a leather neck strap! I went for a silver with black body paired with a 12mm lens, as I felt it was a good change from my all-black E-M10. Having been invited to countless food tastings over the years, here's some camera tips when it comes to choosing the right lenses for your camera. The prime lens allows me to shoot with a wider angle and it not at all heavy, unlike zoom lens. It also captures a good depth of field and is perfect for taking flat lays, or even when the best friend needs an OOTD photographer - pretty versatile I'll say! Here's a shot I took at a recent food tasting session. One of my favourite part of the customisation process is choosing the accessory of my choice. Going for the safer option, I picked the Classic Brown Neck Strap. There was also an option to pick a brown wrist strap but I'm used to hanging my camera around my neck, just because it makes me feel more - secured. Having toyed around with the E-M5 Mark II for a week now, I cannot emphasise more that the upgrade was the right choice. Apart from the enhanced technical features such as the 5 Axis IS, it also has a LCD screen that can tilt 360 degrees - perfect when taking flat lay shots! The camera features a more substantial grip when you are taking a photo, and has a bigger body, although not adding much to the weight. Can't wait to start my journey with the E-M5 Mark II, and because it's also weather-sealed, it just means it will be with me anywhere, everywhere! For more information on the Olympus E-M5 Mark II, do visit www.shopatolympus.com.sg!